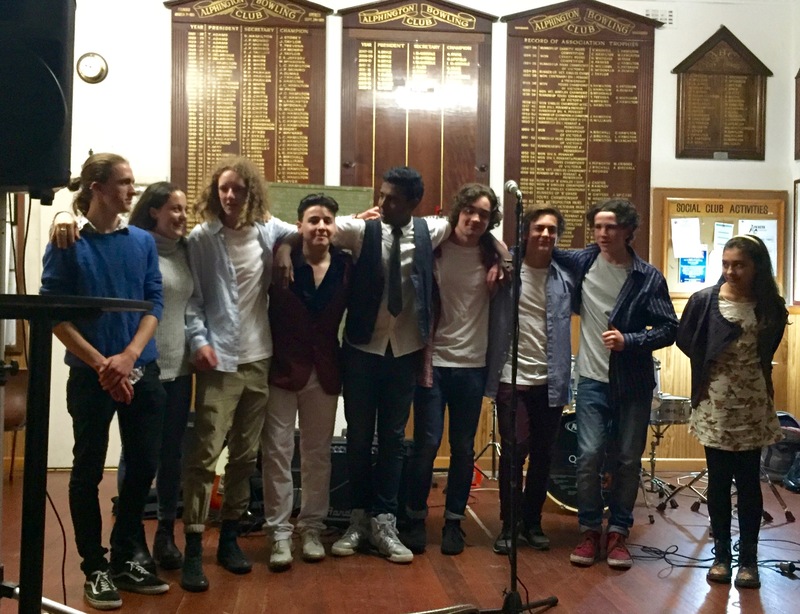 After two great nights at The Alphington Bowls Club Scarlet’s Prize was awarded to the best upcoming local musicians. All the entrants were fantastic. Eleven and a half year old Eloise sang, Louis treated the club to some contemporary jazz, while second time entrant Lucinda, singing with Eddie and Jim, performed three great covers. The winner, however, was a four piece band (Louis, Tom, Cajun and Ricard) singing their own composition. The winners will receive a slot at the upcoming Wetlands Music Festival as well as a two hour recording session at Studio 52 in Collingwood. Well done to all who took part and to the organisers of the event, Andy and Ann.